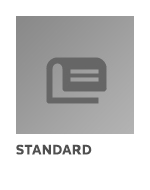 standard by Telecommunications Industries Association, 03/26/2013. standard by Telecommunications Industries Association, 08/01/2012. standard by Telecommunications Industries Association, 06/22/2012. standard by Telecommunications Industries Association, 05/03/2012. standard by Telecommunications Industries Association, 01/01/2012. standard by Telecommunications Industries Association, 07/11/2011. standard by Telecommunications Industries Association, 08/01/2010. standard by Telecommunications Industries Association, 07/01/2010. standard by Telecommunications Industries Association, 06/24/2010. standard by Telecommunications Industries Association, 12/01/2009.